Promising early results of new drugs that target common components of several brain diseases that cause dementia – including Alzheimer’s disease, Parkinson’s disease and Lewy Body dementia – were reported today at the Alzheimer’s Association International Conference 2015 (AAIC 2015) in Washington, D.C. 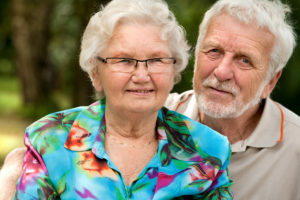 These diseases cause a range of debilitating symptoms, including memory loss, difficulty with language, visual hallucinations or problems with movement, but they all share the same hallmark – the death of brain cells.Many diseases that cause brain cell death and dementia share common characteristics. One is that a particular protein goes through a dramatic change in its shape; often it becomes toxic for nerve cells or the brain connections known as synapses. Alzheimer’s disease is a triple threat – with soaring prevalence, enormous costs and lack of effective treatment. Today, 47 million people are living with dementia worldwide, and that number is set to almost double by 2030 and more than triple by 2050, according to Alzheimer’s Disease International. When proteins misfold, they can start off a chain reaction of binding to other proteins. This process continues until large aggregates are formed. Two different misfolded proteins – amyloid beta and tau – have been shown to be toxic to brain cells. Their large aggregates – amyloid plaques and tau tangles – are the hallmark brain lesions of Alzheimer’s disease. Treatments that target more than one Alzheimer’s-related protein may be especially useful in managing the disease. In February 2015, the Alzheimer’s Association, Alzheimer’s Research UK, and the Weston Brain Institute (Canada), launched a new global initiative called Mechanisms of Cellular Death in NeuroDegeneration, with a fund of $1.25 million for targeted research into brain diseases that cause dementia, such as Alzheimer’s. The funding will support pioneering new projects to understand the causes of brain cell death across neurodegenerative diseases. Effective treatments for Alzheimer’s are desperately needed as it is a triple threat, with soaring prevalence, lack of treatment and enormous costs no one can afford. Alzheimer’s disease is the sixth-leading cause of death in the United states, and the only top 10 cause of death without a way to prevent, cure or slow its progression. is the costliest disease to U.S. society. It is generally agreed that the cause of several neurodegenerative diseases is related to the accumulation of proteins in aggregated (or oligomeric, where several proteins are bound together) forms. Disease-causing forms of these proteins can also change normal proteins into destructive forms, allowing toxic malformations to spread to different areas of the brain. Fernando Goni, PhD, Adjunct Associate Professor, Department of Neurology, New York University School of Medicine, New York, NY and colleagues announced new data at AAIC 2015 about a class of monoclonal antibodies that were shown to react to both amyloid and tau in Alzheimer’s disease, and also to prion disease proteins. They report that the antibodies may also react to aggregated alpha-synuclein and other structures (known as Lewy Bodies) in the brain cells of people with Parkinson’s disease, suggesting a potentially broad range of beneficial effects in neurological diseases. To establish the effect of their antibodies on various forms of alpha-synuclein, the researchers created single alpha-synuclein proteins, oligomeric alpha-synuclein proteins, and dense fibrillar forms known to accumulate in brain tissue. The researchers then tested their antibodies to see how they interacted with each form of alpha-synuclein. Three types of monoclonal antibodies from their laboratory were used, each of which binds to amyloid and tau and also reverses Alzheimer’s-like damage to brain tissue in animals. They found that all three monoclonal antibodies bind to the oligomeric forms of alpha-synuclein but not to the monomeric forms. They subsequently confirmed the antibodies’ affinity for alpha-synuclein related structures within neurons using samples of human brain tissue from individuals with Parkinson’s disease. The researchers found that NPT088 was effective at preventing protein aggregation in laboratory-cultivated brain cells and helped brain cells survive after exposure to toxic aggregated proteins. NPT088 also had broad beneficial effects in transgenic mice with brain damage similar to that seen in Alzheimer’s and Parkinson’s disease, in most cases improving memory and cognition, and reducing the brain levels of amyloid beta , aggregated tau and alpha-synuclein. According to the researchers, NPT088 has successfully completed one month exploratory monkey and rat safety studies, and is currently in the final stages of safety testing prior to the initiation of clinical trials. At AAIC 2015, Marcia Taylor, PhD, of Treventis Corporation, Toronto, ON, Canada presented data on TRV 101, a new drug designed to enter the brain and inhibit protein misfolding of beta-amyloid and tau. Using computer modeling techniques, Taylor and colleagues identified an abnormal shape that allows a protein to misfold and become toxic. the researchers say that the shape is “common to several proteins known to misfold and is implicated in many diseases. They screened more than 11 million compounds through the computer model and, based on the results, synthesized a library of compounds that may prevent toxic protein-protein interactions. A representative compound is TRV 101. In test tube models, TRV 101 demonstrated prevention of toxic oligomerization of both beta-amyloid and tau.